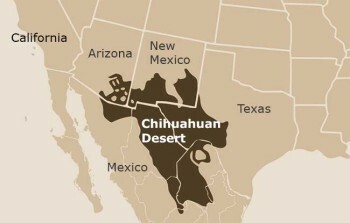 Chihuahuan Desert — the largest desert in North America covering more than 200,000 square miles — Most of it lies south of the international border. 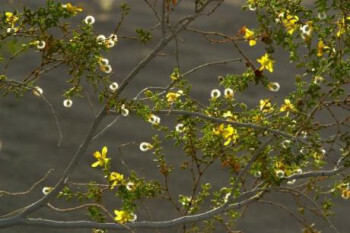 In the U.S. it extends into parts of New Mexico, Texas and sections of southeastern Arizona. Its minimum elevation is above 1,000 feet, but the vast majority of this desert lies at elevations between 3,500 and 5,000 feet. Winter temperatures are cool, and summer temperatures are extremely hot. Most of the area receives less than 10 inches of rainfall yearly .While some winter rain falls, most precipitation occurs during the summer months. 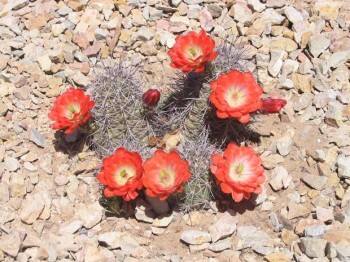 This desert covers such a large area that it is difficult to characterize its geology, but limestone and calcareous soils are common. 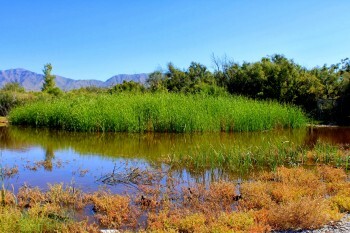 Keystone Heritage Parks approximately one mile trail the “Chihuahuan Desert Experience” located on the westside of parks Wetlands is designed to share with the visitor the different elevations flora and fauna of the Chihuahuan Desert. 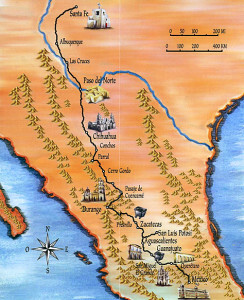 Our Trail runs parallel to the actual Historic El Camino Real de Tierra Adentro (or Translated The Royal Road of the Interior Land). This historic Camino Real ran from Mexico City all the way to Santa Fe, NM. 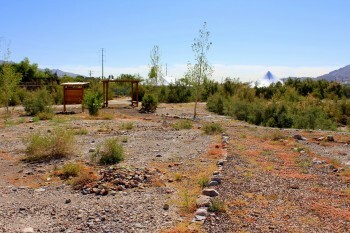 You will be actually walking along the path that Native Americans, Conquistadors, Pioneers and Military have traveled for Centuries through the pass of the north or El Paso.